January | 2012 | Mediascope, Inc. When faced with statistics stating that companies which create, optimize and promote their blogs get 55% more traffic and 70% more leads than those who do not, marketing professionals are quick to join the throngs of people who blog on a regular basis. Today, nearly 40% of United States companies use blogs for marketing purposes, according to Hubspot. Companies which blog have 55% more web site visitors. Sixty-five percent of daily internet users read a blog. It could be your blog if you make it easy to find. Blog posts shared on Twitter and Facebook got 149% more inbound links than those not shared on social media at all. Don’t think sharing on Facebook matters? Did you know that Facebook is now the most preferred way of sharing content – second only to email? Two-thirds of marketers say their company blog is “critical” or “important” to their business. Part of the reason is that blogs are a great way to engage your visitors. B2C companies that blog get 88% more leads per month than those that don’t. United States internet users spend three times more time on blogs and social networks than on email. All in all, these are pretty convincing statistics in favor of blogging; however, deciding whether to blog or not must be individually considered. Blogging takes time and each company must consider whether the benefits they gain will offset the time. It is important to address mail items correctly in order for them to be delivered as intended. Experts in the mail industry have several things they watch in order to help with deliverability. 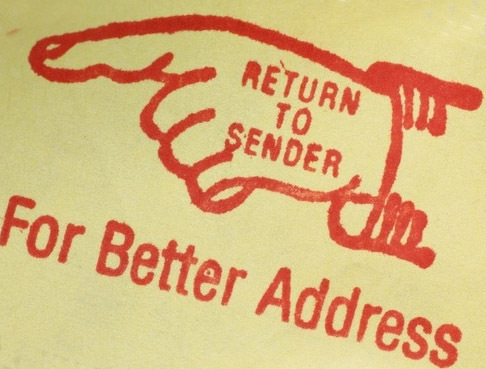 Here are some things we keep an eye on when working with addresses. Spell out street names rather than abbreviate them, and make sure the spelling is correct. For example, 123 MLK Dr should be 123 Martin Luther King Dr.
Insert a space, but no symbol, between a house number and street name. Eliminating the space or using a symbol will result in an “address not found” error during CASS Certification. For example, it is proper to use 143 15th St but not 143-15th St or 143Fifteenth St.
Be sure to use the correct abbreviation for street type. If you aren’t sure of the abbreviation, spell out the entire word. Correct abbreviations include ST, AVE, PKWY, TPKE, TER, CIR, and PL. Use No., #, APT or STE when abbreviating Apartment or Suite. Use County Rd, State Hwy, State Rd, and US Highway when appropriate and do not abbreviate by using St for State or Co or Cty for County. Used properly, the address reads 123 County Rd W, not 123W. Do not use spaces in street directions. Proper use is NW and SE. Fields should consistently contain the same type of information. Examples of fields include Company Name, Contact, Street Address or PO Box, Street Address Line 2 (if needed), City, State, Zip. Place PO Box address and Street Address in two different fields. Do not include building names or other non-USPS address information on the line with the street address. Box 99 and P.O. Box 99 are two different things. Don’t assume it is okay to put the letters “PO” in front of a box number. Zip Codes should not contain any extra numbers, letters or symbols. In some states, addresses include both a direction and an identifying number such as N1234 or 123N456. This type of address should be listed with no spaces between the letters and the numbers. For military addresses, use APO and FPO as the city, and AP and AE as the state abbreviation. The United States Postal Service (USPS) has a great resource for looking up addresses. If you are unsure of an address, you can look it up on the USPS website: http://usps.com. Go to “Look Up a Zip Code” feature to see the standard format of an address. Are you wondering if social media is right for your business? The following facts and figures compiled by industry experts may convince you of the importance of developing a social media strategy. 1) According to Nielsen, over 80% of all Americans now use a social network. 2) Also according to Nielsen, social media users are more active and influential offline than peers who do not use social media. Social media users are people highly involved in networking and community events. 3) The three most important reasons small businesses leverage social media are: connecting with customers; visibility; and self-promotion, according to a Zoomerang September survey of 1180 small- to mid-sized business decision makers. If you’re not using social media, you are missing out on these opportunities. 4) It only takes 20 people to create meaningful many-to-many interactions and bring an online community to a significant level of activity, according to Ning. An on-line following of twenty people is something almost any business can achieve. 5) Did you know that 93% of US adult internet users are on Facebook? 6) There are now more than 800 million active Facebook users, with over 200 million added in 2011. More than half of Facebook users log in every day. 7) The average Facebook user has 130 friends and connects to 80 pages, events and groups. Think of the far-reaching effects derived from each person who follows you on Facebook, LinkedIn, Twitter, or any other social media. 8) 79% of US Twitter users are more likely to recommend the brands that they follow. 9) Comscore released a study in 2011 that showed how business brands that post at least once every day will reach 22% of their fans in a given week. A critical success factor for being seen is consistency in posting. 10) According to Mediabistro, 50% of small business owners reported gaining new customers through social media — most notably through LinkedIn and Facebook. 11) Forty percent of social media users access their accounts through mobile devices. This number will continue to grow. As you plan your social media marketing, keep in mind how to best engage your mobile customers when you craft your posts. 12) At least 44% of small- to mid-sized business decision-makers use social media, says Zoomerang. Getting started with social media can be made easy by getting in touch with a marketing solutions company who can help you set up your accounts and show you how to effectively craft and monitor your posts. 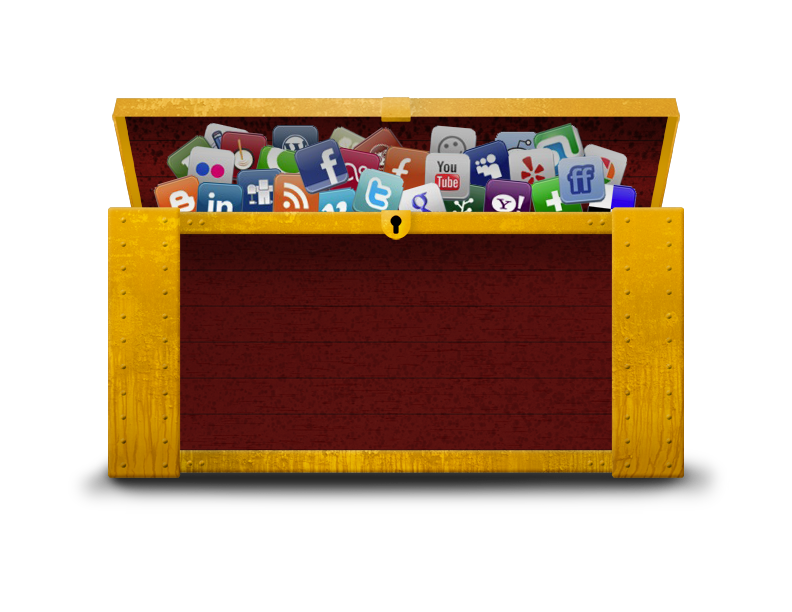 The sooner you start reaching out through social media, the sooner you will begin reaping the benefits. Staying on top of trends means we sometimes run across technologically oriented information we like to pass on to our readers. 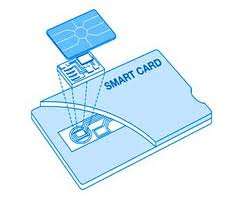 Recently, we read some interesting information about Smart Cards that seems worth sharing. Smart Cards, known as contactless credit or debit cards, carry a little chip with a radio frequency identification (RFID) antenna that allows you to make payments without swiping the card through a terminal. Introduced six years ago, an estimated 90 million of them are now in use. Smart Cards contain an embedded microchip along with a radio antenna. Contactless Smart Cards have two components: a microchip that stores details like your credit card number and expiration date, and a radio antenna that reflects radio waves back to a store’s smart-card reader. This technology is similar to what allows cars with pass cards to breeze through tollbooths. Although the perceived benefit is to consumers who don’t need to remove cards from wallets or pocketbooks, the real benefit is to credit card companies. Smart card technology puts them a step closer to mobile payments which will allow cardholders to make payments through their smart phones. This will be a huge cost savings to card companies who will no longer need to mail out bills. The concern with swipeless cards is that anybody with a handheld RFID reader can potentially scan a card. While possible, the likelihood is slim and the damages are usually less than seen with a lost or forgotten credit or debit card. For one thing, while the magnetic strip on regular cards contains your name, account number, expiration date and three-digit security code, an RFID chip holds only your account number and expiration date. Instead of a security code, smart cards generate a unique verification number for each transaction and no number is used twice. Even if someone scanned your card while you were in the middle of a purchase, the security code would be invalid on the next purchase. Part of the concern about the safety of Smart Cards is stemming from television reports late last year where reporters were able to scan smart-card account numbers of cards tucked inside of wallets or purses. While it is true that account numbers can be scanned, the information is not enough to allow unauthorized transactions. For people who are still concerned about the possibility of their card unknowingly being swiped, wrapping the card in aluminum foil or carrying it in an aluminum wallet will eliminate the threat.